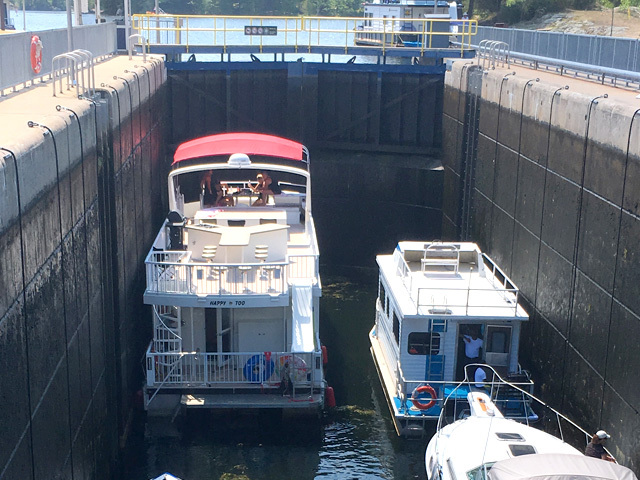 The Trent Severn Waterway is one of Canada's most spectacular waterways and is a national historic site that is operated and safeguarded by Parks Canada. It is a world famous tourist destination that is home to some of the best recreational boating in North America. The waterway stretches 386 km (240 miles) from LakeOntario's Bay of Quinte to Georgian Bay and Lake Huron. 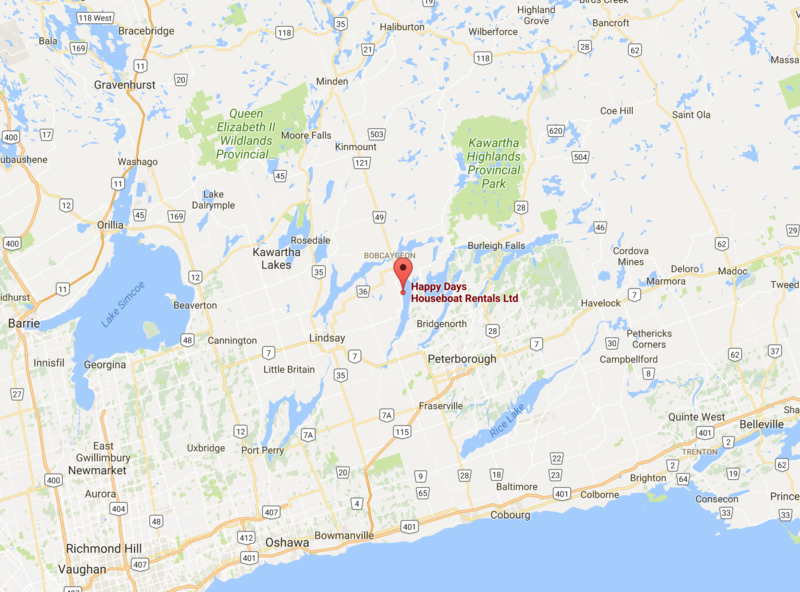 The World's two highest hydraulic lift locks are in Peterborough and Kirkfield. Located in the beautiful village of Coboconk is Canada's Fresh Water Summit - The highest elevation of fresh water from which you can circumnavigate the globe. Samuel de Champlain travelled this route with native guides in 1615. 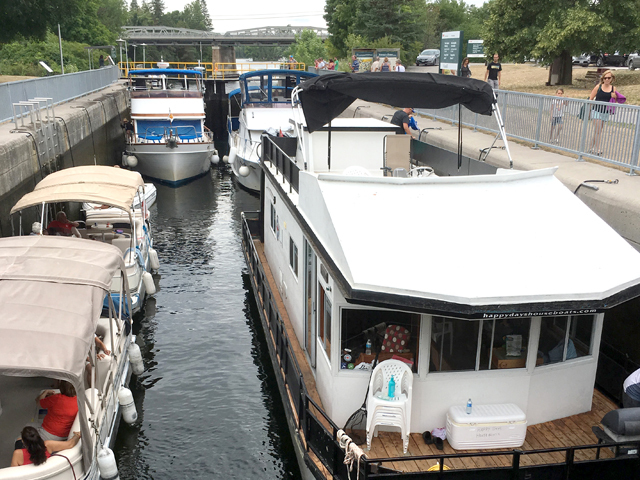 The Trent Severn Waterway is an engineering marvel, is historically relevant and geographically fascinating. A great experience to capture for the kids when they return to school and write about "What I Did This Summer". 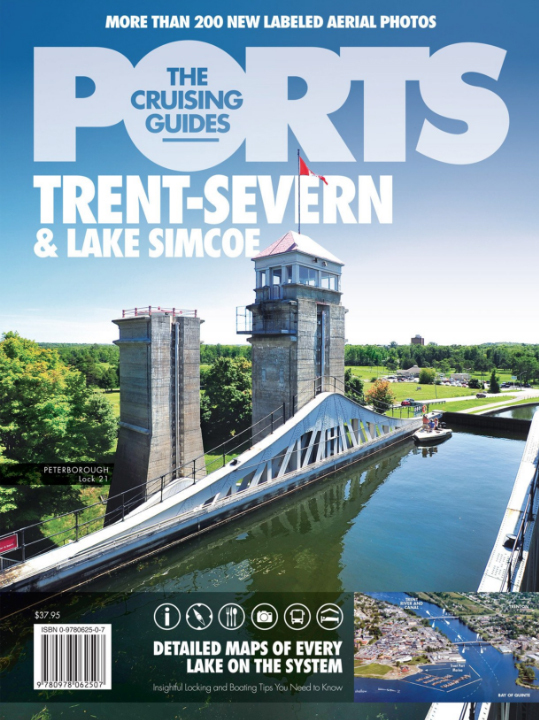 For more information on the Trent Severn Waterway, visit the official site for Parks Canada. * See Ontario Fishing Regulation Summary Zone 17 for slot size and limits. When you arrive at Happy Days Houseboats, you will be greeted by friendly and courteous staff. Once on board your houseboat, a training instructor will come aboard to complete the safety equipment checklist and dock side check out. 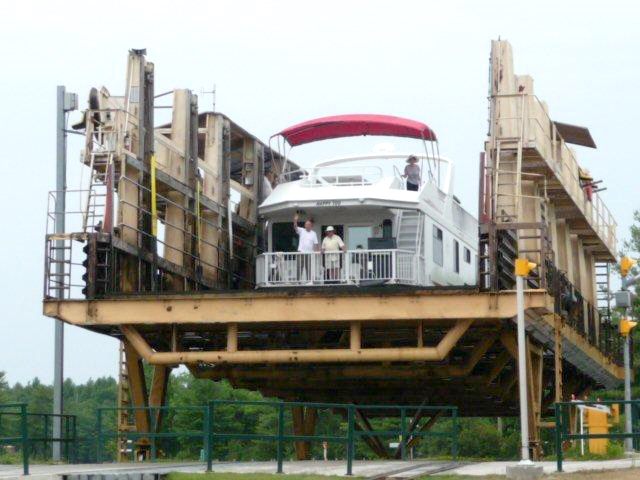 Guaranteed departure from the dock happens when safe boating conditions are present. This means that the captain(s) and crew are properly trained and have proven competency, good weather conditions are present and there is sufficient daylight to reach your destination 30 minutes prior to dusk. You are always welcome to return to Happy Days Houseboats where you can enjoy the marina facilities. Canoes, kayaks and paddle boards can be used at no cost on site when available. Our helpful and courteous office staff are waiting to hear from you. 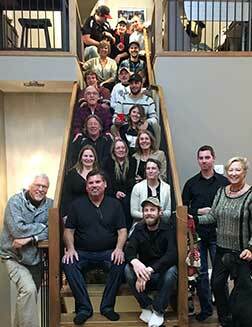 Happy Days Houseboats began in 1978 and is a second generation family business. 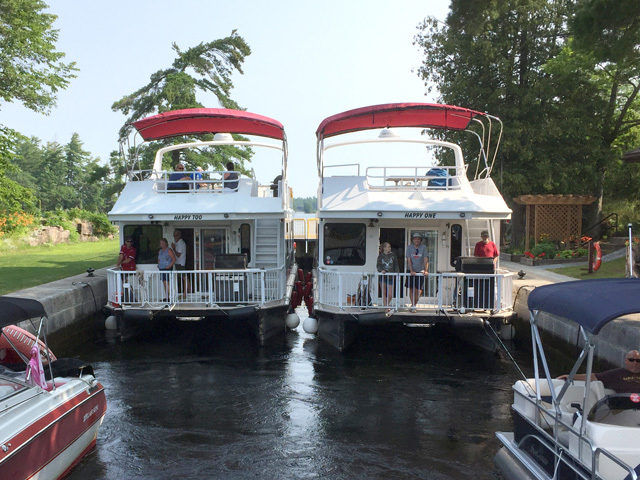 Jill and Frank Quast welcome you to Happy Days Marina; home to the largest mooring of houseboats in Ontario. Happy Days Houseboat Rental ltd.
© 2018 Happy Days Houseboats began in 1978 and is a second generation family business.